The Portage in home care experts share a simple senior loneliness assessment tool in this article. With well over 325 million people residing in the United States alone, it is not easy to think that loneliness is so prevalent. Nevertheless over fifty percent of all the elderly live alone, and more than a million of them are believed to be chronically lonely. In fact, roughly half of seniors studied stated that their principal resource for companionship is the television. 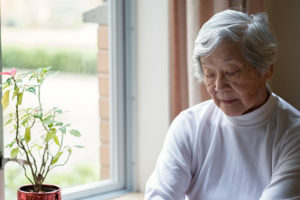 Being lonely may lead to severe health concerns as well, reported to have as great an influence as smoking and being overweight, and can ultimately cause depression, hypertension, dementia, and an earlier mortality rate than others who happen to be socially connected. I have plenty of people I feel comfortable asking for help whenever needed. My relationships are as satisfying as I would like them to be. Check with your senior loved one’s neighbors, friends, and people in his/her religious organization in order to plan regular visits. Incorporate technology, including Facetime and Skype, allowing the senior to remain connected remotely. Explore available activities and courses for older adults from the regional community college, senior center, and gym. It’s also important to rule out clinical depression or any other health issues as the underlying reason behind your loved one’s loneliness. A senior who might be isolating herself/himself due to psychological or physical complications calls for experienced medical care services to fully manage the situation and receive appropriate treatment. Contact us online or call us now at 269-224-1683 for help in making sure your senior loved one is socially active and experiencing life to the fullest! We proudly provide Portage in home care services, as well as other areas in Michigan. To learn more about all of the cities we serve, visit our Service Area page.